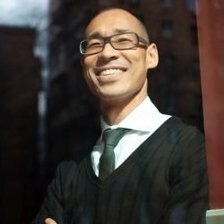 Bruce Pon is the CEO and co-founder of BigchainDB, a blockchain database that allows enterprises to deploy decentralized applications. Prior to BigchainDB, Bruce co-founded Avantalion, a consulting firm specialised in building banks and industry startups in Europe and Asia for companies such as Mercedes-Benz, Volkswagen, Mitsubishi. He has an Engineering Degree from the University of Saskatchewan and has advanced training from MIT Sloan, University of Cambridge and IMD.